My aim with this blog has been to highlight my photography and thus I have kept the writing to a minimum and made it all about the images. 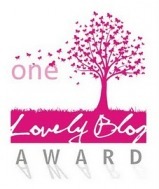 So while I am very grateful to all the people who have nominated me for various blogging awards over the past couple of months I haven’t wanted to do the obligatory posts following the rules and reposting for fear of messing with the flow of the site. Recently I was nominated again for the this award by Duko of Duko Photoblog, thank you! A very big thank you to Steve over at TheFotoBird for the Sunshine Award and the vote of confidence in my photography.